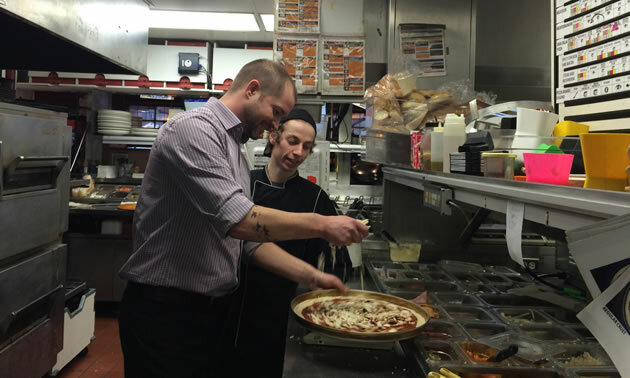 At 35 years old, Jordan Perkins, franchisee at the Boston Pizza in Castlegar, B.C., has 22 years of experience in the restaurant business. 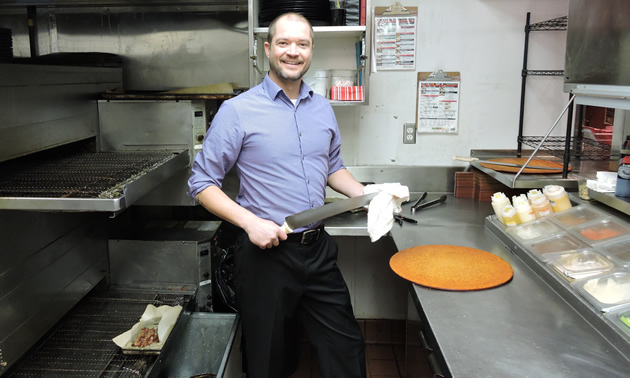 Growing up in a low-income family in Ontario, Perkins wanted to have the kind of stuff his school friends had, so at the age of 13 he got an after-school job in a small pizza place. He was a tall kid who seemed older than his years, and he worked from 4:00 to midnight, five evenings a week. At 21, while he was working in Whistler, Perkins was invited to go to the Caribbean for a couple of months to open a beach bar. The deal included wages of $50 per week, and Perkins grabbed the opportunity. Perkins’s resemblance to a certain American celebrity was emphasized when, the night before he was to meet the Boston Pizza staff at his newly acquired restaurant, he buzzed off most of his hair. He found the general reaction to his new look quite amusing. 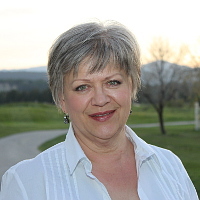 Perkins has become quite a force for change in the business world in Castlegar. 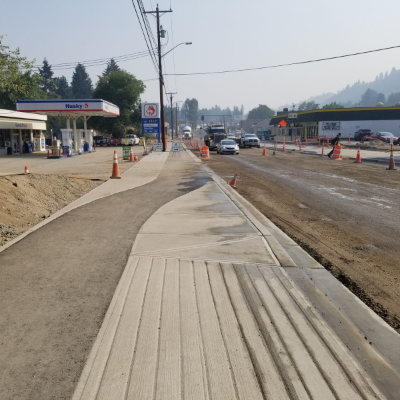 His ideas for cross-promotion among businesses, including encouraging people to shop locally and increasing the flow between Castlegar’s uptown and downtown business areas, have certainly met with the approval of the local chamber of commerce. Perkins is reaching the community in his own unique ways, and profit is not his only motivation. His support of the local hockey and other sports teams goes beyond cheering them on. Any hockey team or other group of 15 or more gets 20 per cent off their bill if they pre-order. That’s efficient for the restaurant and supportive to the teams. Perkins likes developing the people who work for him. 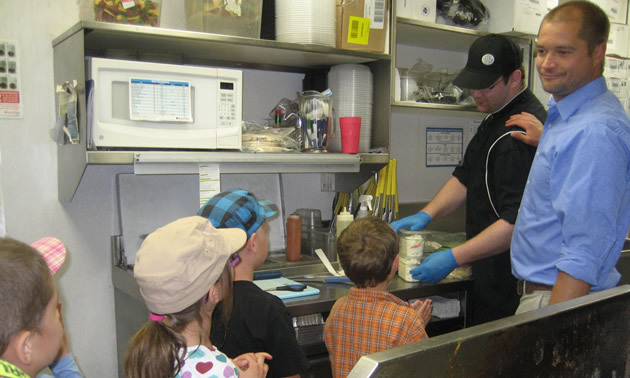 He tells them that when they leave Boston Pizza, he wants them to have more skills than when they started. 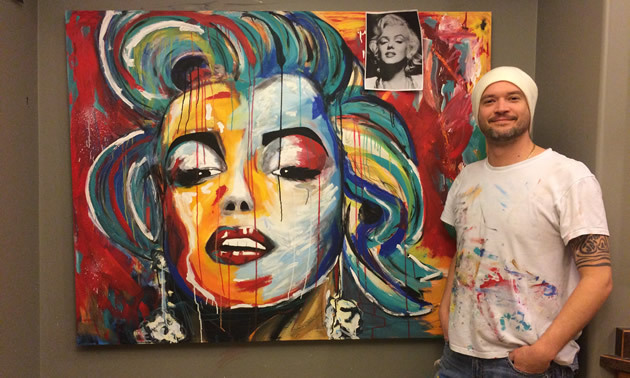 A couple of years ago Perkins tried his hand at painting, and he has developed a style that’s bold, colourful and big—his canvases are one metre square or bigger. He likes to create his own version of portraits of celebrities and is planning to do a portrait of Leo Tolstoy for the Castlegar Art Walk. 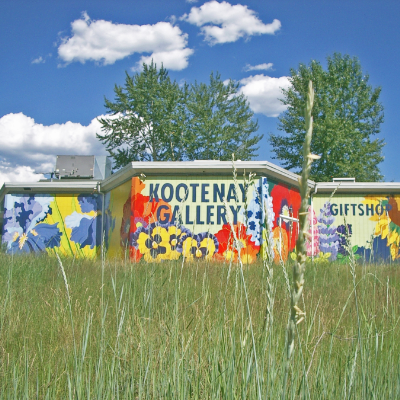 Tolstoy was an ardent supporter of the Doukhobor emigration fund when the first members of that religious sect came to Canada; many settled in the Castlegar area. You can see some of Perkins’s work on his Facebook page. Perkins is also a whitewater paddleboard instructor who frequently makes trips on the Columbia River from Millennium Park down to Genelle or Trail, just to show people how beautiful it is. In the typical poor-kid-makes-good story, the poor kid often becomes a shark. In this case, however, the kid is enriching his business community, he’s contributing to its culture and he’s employing and mentoring its young people. Not a shark, then, but certainly a catch.